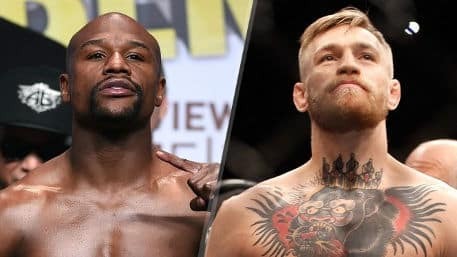 The fight between Mayweather and McGregor takes place on 26th August, although it is likely the fight won’t start until ~2am on Sunday morning. Some bouts are set up for fighters to prove a point or to challenge for titles, but this fight is almost entirely about the amount of money it will generate. Mayweather and McGregor are estimated to earn around $200m from the fight. This sum is made up of pay per view TV (PPV), tickets, merchandise and sponsorship. The Mayweather Pacquiao fight brought in around $450m in PPV sales, and this fight is projected currently to surpass it marginally. While many boxing fans will turn away from this fight, it is expected that many who don’t normally buy PPV will be drawn into the hype. This could be the highest grossing fight of all time. McGregor made £40m in 2016, and has boasted that this fight will quadruple his net worth. No UFC fight could ever earn him this sum of money; given this fight is outside UFC, it poses no issues for his career. One could be forgiven for thinking Mayweather doesn’t need more cash, given his personal brand orientates around money. However, Mayweather has the problem that as much as he enjoys making money, he also enjoys spending it. He also has the second problem of outstanding tax payments dating several years back. In fact in a current legal case, due to the fact a lot of his assets can’t easily be liquidated, he has said he requires the pay cheque from this McGregor fight to pay outstanding debts. That sure is one incentive to do this fight. To ensure that McGregor can quadruple his net worth and Mayweather can pay his tax liabilities, both boxers have just completed their world promotional tour. All in all it has been pretty successful in building coverage and hype, although like the majority of boxing build ups, it has not been without its controversy, and at times been has been a bit of a pantomime. However despite this, there have been a couple of moments which have shown genuine aggravation. All of the time the two boxers have been trash talking and telling each other how they are going to knock each other out, it’s surprisingly the swearing has been one of the things picked up on. Mayweather complained about the amount of swearing, and McGregor in an odd way did show some manners toning down the swearing after seeing Mayweather had brought his daughter to watch the promotion. In the last promotional event, McGregor broke the ‘no touching policy’, and for first time Mayweather actually laughed, dropping his guard when McGregor touched his head. Even Dana White had to tell McGregor to stop. While there has been the usual amount of choreographed banter between the fighters, McGregor has come out on top due to his natural energy and charisma. As good a boxer as Mayweather is, his acting abilities are very limited and overcoming this with constant shouts of “yeah” doesn’t quite work. In normal circumstances, boxers will trash talk their opponents ability to fight. This fight has been a little different in that Mayweather has talked up McGregor’s ability to fight at times. This only goes towards creating the illusion that this is likely to be an even fight. This will be key for PPV sales. This is far from a normal fight. Fundamentally this is one of the greatest, most decorated boxers ever fighting a non-boxer. Of course if this was a UFC bout then McGregor would absolutely destroy Mayweather. 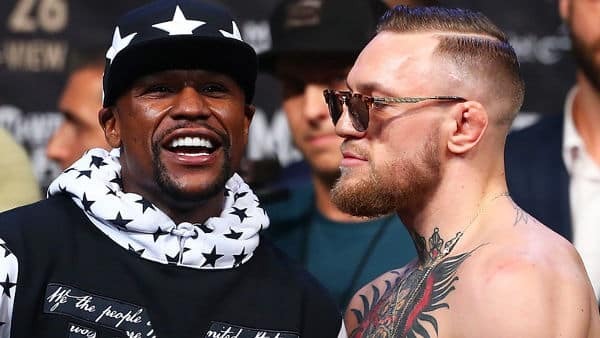 Both fighters spoke about a potential rematch in the Octagon ring, but although Mayweather would happily accept another $200m, it would be questionable whether he would want to be beaten to a pulp and tarnish his legacy as one of the best fighters in history. We reckon Mayweather will win with a knock out, but McGregor won’t care because of the massive pay cheque he will pick up and the pride he can hold knowing Mayweather will never want to fight him under UFC rules. The fight is available only from Sky Box office at the cost of £19.99. If that feels like a lot of money, then feel bad for your friends in America. There people will have to pay $100 to watch the fight in their own homes. There is only the one betting offer available at the moment, from Betway and we expect to see more pop up over the next 10 days or so. See our boxing page for the most up to date offers, and when they’re published, we will start to list them here. Money back if the fight goes the distance (round betting) – Place a ‘round betting’ bet on the Mayweather vs McGregor fight, and if the fight goes the distance, Betway will refund your losing bets with a Free Bet equal to your stake up to £10. Money back if the fight goes the distance (most markets) – Place a bet in the majority pre-match market (some exclusions) and if your bet loses, both 10bet and Real Deal Bet will give you up to £20 back as a free bet. Bet £10 and get £10 free – With Ladbrokes, bet £10 or more on Mayweather vs McGregor and get 2 x £5 free in-play bets for the Super Sunday matches the following day. Bet £20 and get £5 free – With Betfred, stake £10 at odds of over 1/2 on the Mayweather McGregor fight and £10 on any of the Mike Tyson themed games this Friday or Saturday to receive a £5 free bet.